Blackface of the defunct Plantashun Boiz has dropped a new single dissing his former group mate, 2Face Idibia and he titles this one “War”. 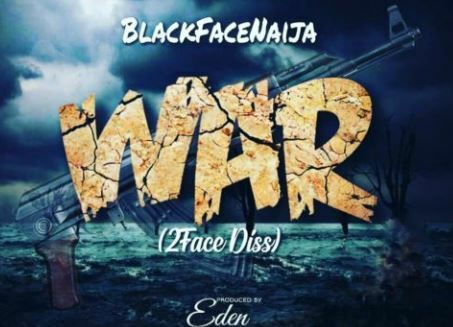 Blackface titles this diss track “War” and says he is ready to declare war on the one who he schooled for years ‘2face (2Baba)’. He also reveals some dirty stuffs about 2face that he has been harbouring and continues with song theft claims.